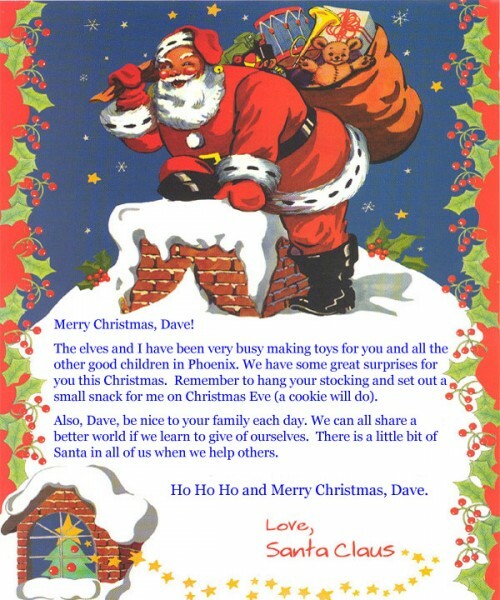 Surprise your child with a special, personalized letter from Santa himself. Our stationery has a picture of Santa ready to come down the chimney and an envelope with the North Pole on it. There are two different versions so please choose from the pictures above! Personalization includes child's name, gender, age, date of letter, hometown, desired gift from Santa, and name of parent, relative or adult friend who is telling Santa the child has been good.